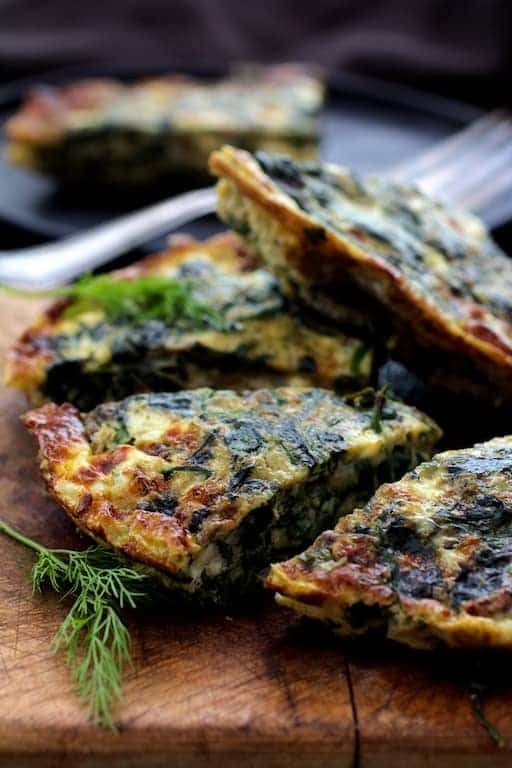 Spinach, Leek and Feta Cheese Frittata is everything! 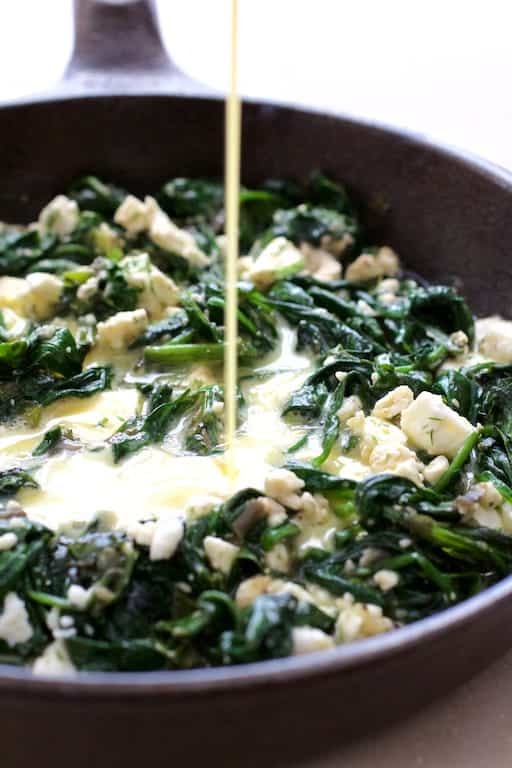 It’s a Greek-inspired version of Italy’s answer to the French omelet! Did you find yourself with an abundance of eggs after Easter? Yeah, us too. We ended up making far fewer deviled eggs than we planned. The eyes are always bigger than the stomach! So, last Friday, I went through our refrigerator because it was bursting at the seams. Some things were urgently calling for attention…. like unused eggs. Answer…. 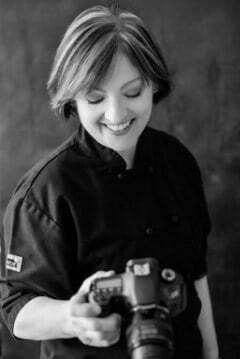 quiche, frittata, tortillas! Here’s a dish that fits perfectly into any meal of the day! 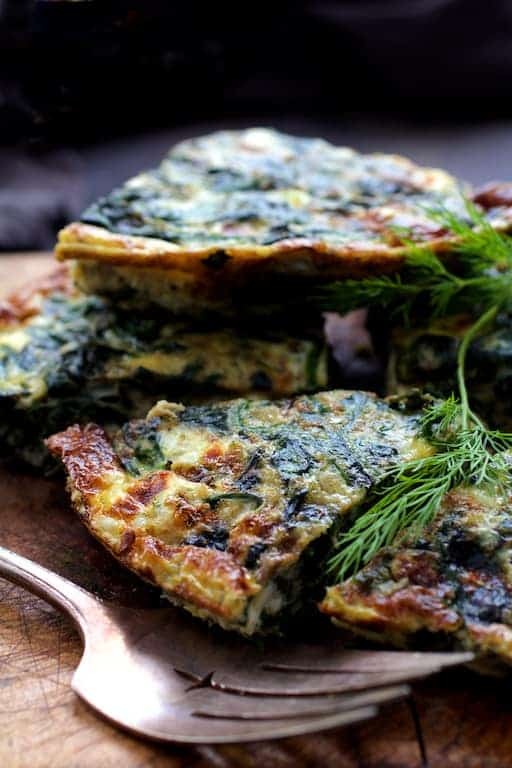 If you can master the simple technique to making a frittata, you have the ability to pull together a quick, protein-packed meal that is right any time of day. Frittatas are a great way to use up any herb, vegetable, cheese or meat you have on hand. And of course, those eggs! Unlike its fussier cousin–the omelet–frittatas do not require any flipping or folding because they finish cooking under the broiler. 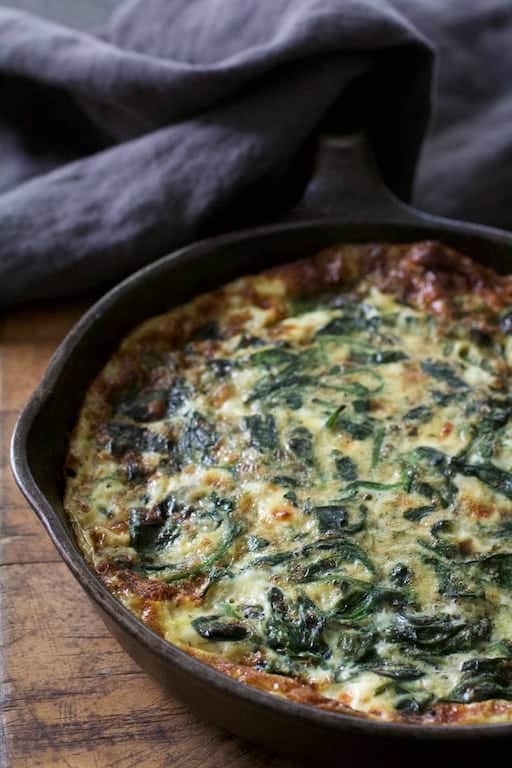 Vegetables and uncooked meat such as sausage should be cooked first and most can be cooked in the skillet you’ll be using to make the frittata. (Drain off any excess grease from the meat.) Once you have your ingredients cooked the way you like them, spread them out evenly on the bottom of the skillet and add the eggs. Here’s the part where it can get tricky: Once the eggs have been added to the skillet, you want to gently move the eggs around without scrambling them so that you have cooked egg and uncooked egg evenly distributed. When the edges of the frittata begin to hold together as you run a heat-resistant spatula around the perimeter, the frittata is ready for the oven. Add any additional cheese you want at this point. Place it under the broiler and watch it carefully. I leave the door open a bit so that I can keep a close eye on it. Finishing the frittata and browning the top will only take several minutes. When working with leeks, keep in mind that mud can hide within the layers so it’s important to give them a good washing before use. 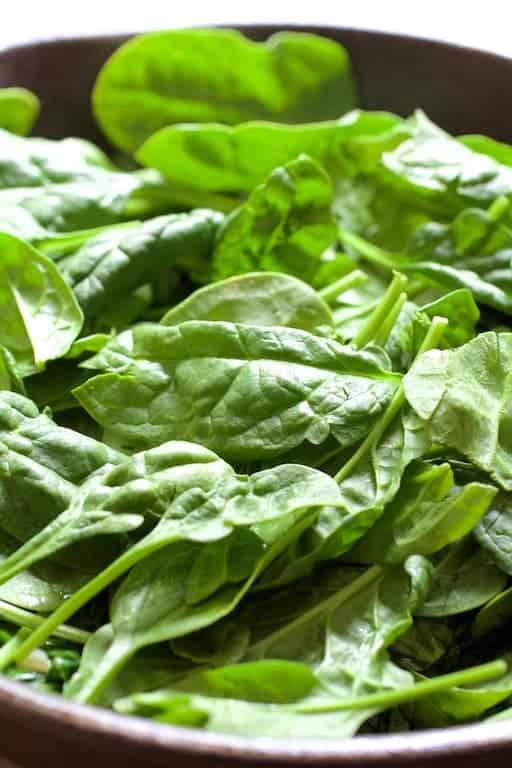 Cut them in half, remove any root, thinly slice and then immerse in a bowl of water. Swish them around well so that trapped dirt falls to the bottom. Remove with a slotted spoon and drain on a paper towel before adding to the hot butter and oil mixture. I show you how to work with leeks in this post. One last tip! To prevent stray bits of shells, break the egg on a flat surface–not on the edge of the bowl. Also, if you set the hot pan down with the finished frittata to do something else, immediately place a towel or oven mitt over the handle. Forgetting the handle is extremely hot for quite a while can result in a severe burn! Just sayin! I think a tomato salad of some sort is the perfect accompaniment! Enjoy! 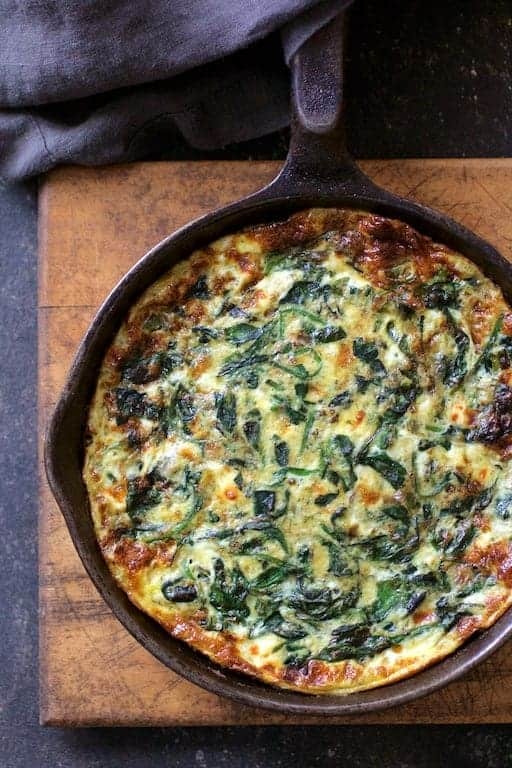 Spinach, Leek and Feta Cheese Frittata is everything! It's a Greek-inspired version of Italy's answer to the French omelet! Allow the egg mixture to cook slowly and with a heat-resistant spatula, gently move the egg mixture around without scrambling the mixture. When the edge of the frittata is beginning to hold together, transfer the pan to the broiler. Broil for 2 to 4 minutes or until the top is set and beginning to lightly brown.